Now to building coffins. This may not seem like a great way to start a new year but several recent blogs, conversations, tweets have turned on the subject of theology and the merits of differing theological systems. If one is honest, they will need to admit that their system of choice works as long as they do not include the scriptures that form the basis of a rival system. Interesting problem! God gave us a collection of historical accounts, poems, legal systems, sacrificial systems, moral laws, prophecies, dreams, visions and letters arranged in 66 books, written over thousands of years of His relationship with us. Then we try to make a rational system out of it? We cannot make a rational system out of our relationship with our spouse and we try to do so with our relationship with God? 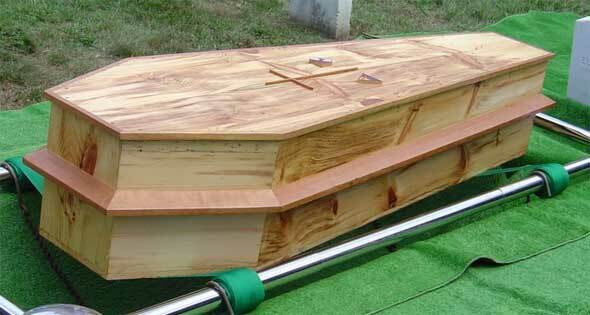 Every theological system is like a coffin. The only body you can get to fit into it is a dead one. Making the coffin more and more complex to try to accommodate more and more of the mystery of God misses the point. If your reason could create a logical system that could fully contain God, your reason would be God. God will not fit in any coffin no matter how many bits you try to chop off nor how many scriptures you try to ignore. The universe is not rationally ordered nor is it rationally determined. If God wanted to write a book of theology He could have done so. He is smart enough. He did not so why do we try? We do worse than build theological coffins. We try to force God into them. The only God that fits is a dead one. The comfort of rationalism and the arrogance of having the right doctrine is that it becomes the end in itself. You got it right. You do not have to do anything else. And your God is in a coffin where you do not have to deal with Him. The universe is relationally ordered. God is a Father and God is a love relationship of Father, Word and Holy Spirit. Their union is a mystery of love and mutual honour. Our lives are relationally ordered. That is why the moral law is eternal. Moral law has to do with relationships. There is no rational system that can protect you from the risk, uncertainty, vulnerability demanded by authentic relationships. The practical extension of rationalism is legalism. Hearts protected from life by rules and fear. The universe is relationally determined. The future, in general and my future in particular, is determined by my relationship with God and with others. God is a Father who is passionate to share Himself with a family. The Father and the Holy Spirit are passionate to present a bride to the Son. The Father and the Son are passionate to create a living temple for the Holy Spirit. The Word and the Spirit are passionate to present all things to the Father so that He might be all and in all. This is not to say that the universe is unreasonable. It is reasonable, predictable, seasonal and purposeful. It is not absurd but neither is it rational. Someone has said that the first question of the age of reason is suicide- why should I live? The end of rationalism is nihilism. Absurdity and rationalism are two sides of the same coin. What is rational is not necessarily meaningful. Truth is not a system of thought. Truth is not correct doctrine. Truth is a person whose name is Jesus. In Him are hidden all the treasures of wisdom and knowledge. In Him are judgement and forgiveness, wrath and mercy, law and grace, God's freedom to choose and man' s freedom to choose, His freedom to love and my freedom to love. In Him all truths hold together in living tension. Even the ones that we cannot reconcile in our rational systems. Even the scriptures that we try to ignore. The challenge and sharp discomfort of a relationally ordered universe is that the God who is love says that right belief is not enough. He says that even the devils believe and tremble. He says that if I say I love Him and do not love my brother, I am a liar. My life in God is fulfilled as I love Him and love my enemies. The universe is ordered by love. My future is determined by love expressed in simple but often difficult serving of others. ← Can’t remember if I posted this already…but it is worth reading! that is seriously funny..another Nathan ADD moment! Priceless! And people say that life can’t be fun…you are an adventure a moment!